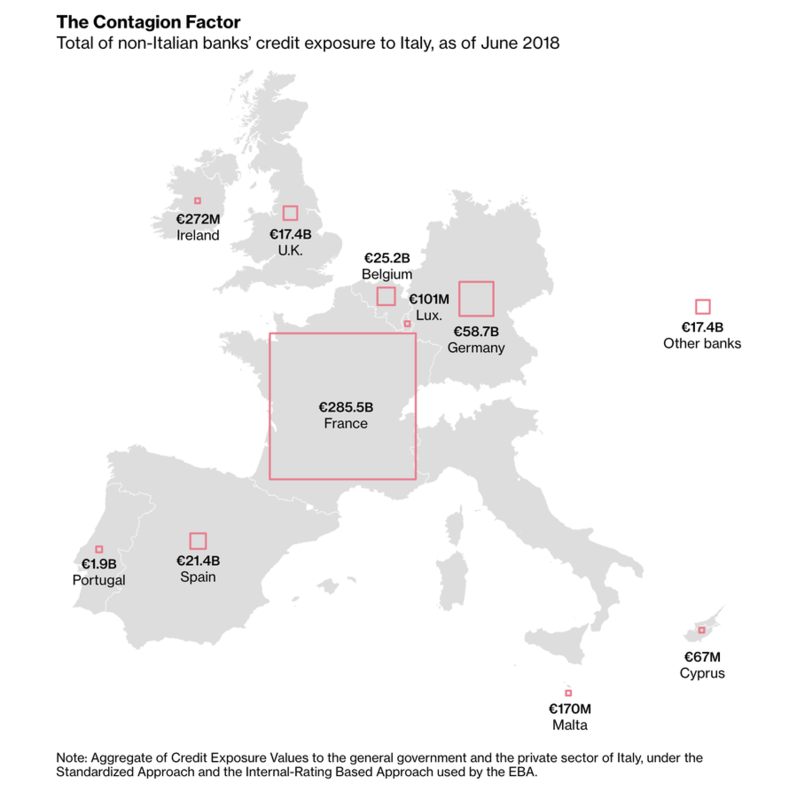 The Bloomberg analysis of Italy's financial foibles follows more reports that Italy's ruling coalition between the anti-immigrant, pro-business League and the vaguely left-wing populist Five-Star Movement has become increasingly strained. 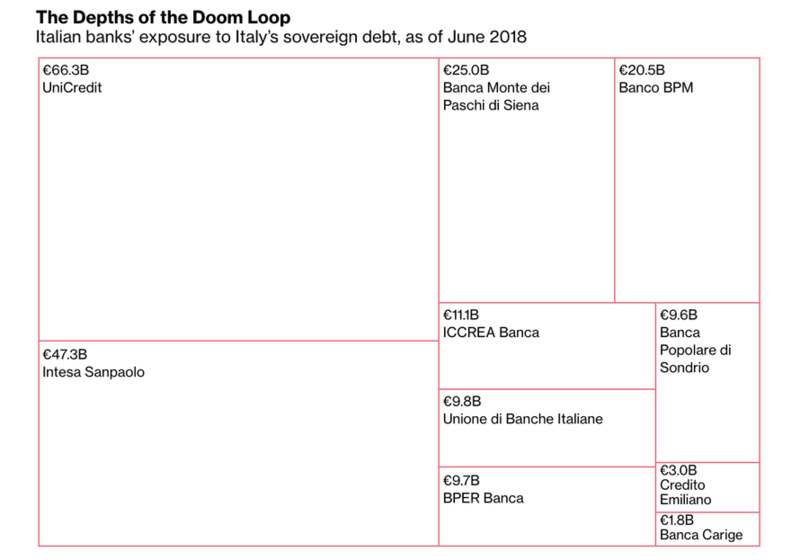 Per BBG, the two parties are fighting a battle on two fronts over the construction of a high-speed Alpine rail and a legal case involving League leader Matteo Salvini over his refusal to let the Dicotti migrant ship to dock in an Italian port last summer. 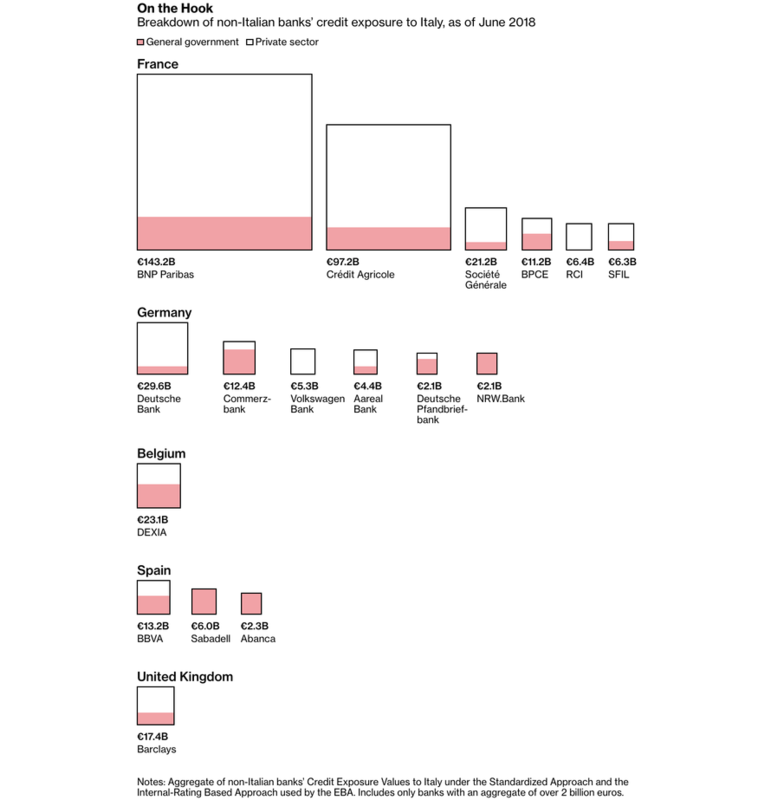 To keep operating without massive budget cuts (something neither party in the ruling coalition has shown any sign of supporting) Italy must sell 400 billion euros ($457 billion) of debt per year. 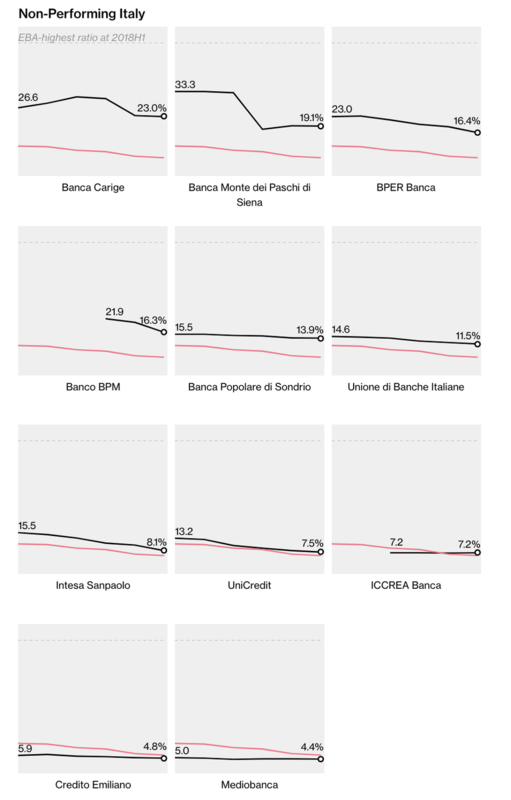 But since Italy's banks hold so much of the country's debt, declines in the price of Italian bonds inevitably hurts the shares of Italian banks and also forces them to hold more capital on their books to ensure liquidity from the ECB. This creates the potential for a negative feedback loop known as the "doom loop".